Createspace Independent Publishing Platform, 9781475076059, 208pp. What's in a name? 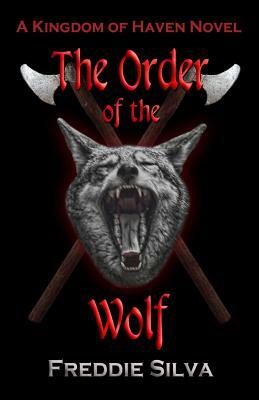 In the Order of the Wolf your name is everything. It describes you and defines you. It is your reality. Imagine a life of clashing swords - a life of death, and blood, and strife. In such a setting a name is like an anchor, holding you steady to your own reality. But what if your reality is death, and blood, and strife, and nothing more? That's when you are given a name like Death. Death used to have a different name. His Order mates once called him Brain, because he was always curious and asking questions, but that seems like a lifetime ago to Death. Those mates are all gone and now Death wants nothing more than to join them in the Halls of the Dead. Death once had a normal name too. Back in his youth, before he became a mercenary. That name he refuses to speak and buries deep in an effort to forget his past. A man with so many names is bound to get confused. Which one defines him, and in which reality does he live? Death must sort through his names, and his life, to determine who he really is. Along the way he will try to die in battle, fight old foes and new, meet the love of his life, and come face-to-face with the man he most fears. In the end he will finally accept his destiny and recognize his true name. Who says a mid-life crisis has to be about fast cars? Freddie Silva has been writing Fantasy and Science Fiction Stories since 1993. He has been reading these types of stories since he could reach the bookshelf. He has always had a passion for history, religion, and mythology. He strives to use elements from all these interests in his writing.